It’s rather incredible that many organizations still don’t understand the social media ‘minefield’. And like everything we don’t understand, we either kill it (think animals or Wolverine and his (Chrysalids) X-men friends), ban people from using it or ignore it and hope that it will go away. Social media can have a happy ending for you and your brand if you understand that particular world and those who inhabit it. Just a little teaser today about two social media myths. 1. All social media sites are the same. Wrong! Assuming Facebook is the same as Twitter is the same as Bebo is like saying that the world of Amazon is the same as the world of Gumtree. And Pinterest. (If you’re asking what Pinterest is, click here)!! Then Google Instagram!! Lesson: You can learn many things from others in social media. Join groups, follow blogs. 2. You won’t get in trouble on social media. Oh dear…. Many people and brands have tried social media campaigns. Some have made mistakes and others using the same strategy have succeeded. Research, research and then research. Lesson: Don’t think that if you do something wrong that people will be nice to you in this world, and all will be forgiven. Word travels very quickly in online spaces. 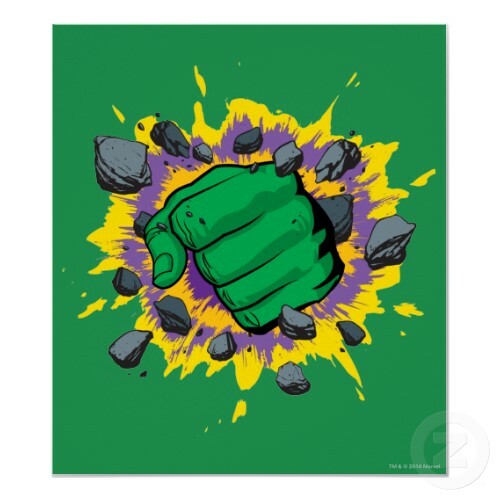 If you fail to deliver on brand promises, you will fall victim to the brunt of The Hulk’s fist. 3. All Gen Y’s are wired. Again, nothing said further from the truth. OK, so some of this Generation are switched on, are all over social media… but there are a lot who don’t live only in an online world. Lesson: Yes you should employ them to help you with your social media strategy. And yes, they may want to work remotely. Let them! Learn what they have to offer. Just because they’re younger than you doesn’t mean that they are not ‘wise in the ways of the Force’!! So for happy endings for everyone? It’s easy. Only promise what you can deliver. Then deliver more than you promise. (See I said that I was going to give you two myths, but gave you three)!